ï»¿ Celebrating 20 Years of Pokemon! Re: Celebrating 20 Years of Pokemon! [img][/img] Brackets, You could probably view it on the site. So with the reveal of a new pokemon what does that mean with the next installment? Are we still going to get the 3rd game of Generation VI (Pokemon Z) or are they just going to jump to Gen 7? While we do not know for sure, it could mean either. I suspect a third game of VI could be coming, it is not new that a brand-new Pokémon gets revealed before a third game or even a new generation. 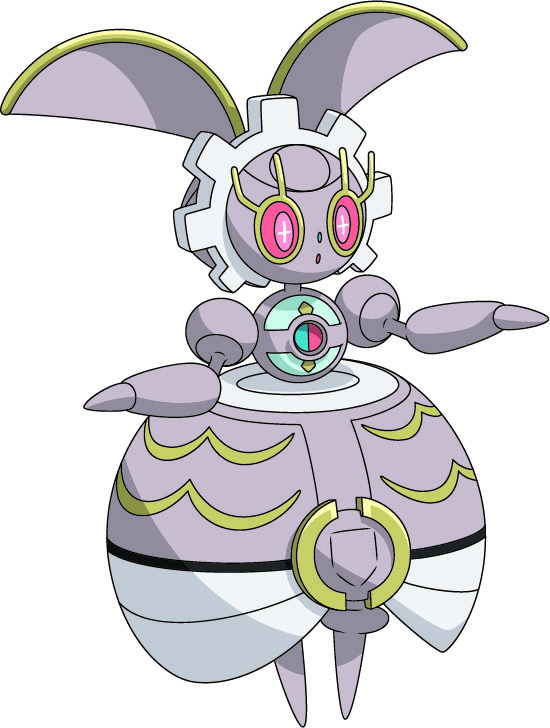 And I like how most members are thinking that Magiana is female, (granted it looks feminine) but it's man-made, therefore it's gender-less. Jigglypuff in Smash is worse. People assume Jigglypuff is female only because of the accessories it wears. All playable Pokémon in Smash, except for Mewtwo, can be male or female. Mewtwo was created, so it's gender-less. Pikachu, we assume male because of the flat tail it has (no heart-shaped end). Charizard, Lucario, and Greninja have no differences between gender, so it can be either. It's just Jigglypuff that brings up a serious issue on gender. Mewtwo was created, so it's gender-less. Well, technically, because Mewtwo is a clone, you could look at the DNA and tell whether it's male or female as opposed to Magiana who is basically a Machine. Also, Mewtwo has a male voice in Pokemon The First Movie. Oh, and don't forget Melee Mewtwo had a male voice too and Mewtwo in the Genesect movie had a female voice. Also, about Magiana's gender, even if it is ''genderless'', it clearly looks more female like. Just like how Diancie is ''genderless'' yet referred as a ''princess''. I think I should join in on the Pokemon action by getting my first Pokemon game this year. X, Y, Ruby, or Sapphire? NOTE: I actually have vague memories of me as a little kid on a DS trying to figure out how to play Pokemon Pearl, if that counts as the first game I played, LOL. I know Magiana is genderless but I like to think it is female based on its feminine appearance. Similar to Diancie and Meloetta. Very few legendary Pokémon have genders and Magiana is man-made, but is it possible for this one to have a gender? I think there's a small chance, it is far more likely to be genderless like the rest though. I believe the creators could assign a gender to their creation. I'd say go for Omega Ruby or Alpha Sapphire. The dexnav is a very useful tool for obtaining hidden abilities and other useful things. There's also features like Super Secret Bases, I enjoy those. Pokémon Contests return, they are an interesting kind of competition, no online for them unfortunately. Exclusive mega evolutions, moves, and forms that can't be found in X or Y, I hate how that means interactivity between the games are limited as a result. Most features from X and Y return for Omega Ruby and Alpha Sapphire so there isn't much reason to get X and Y. The biggest downside of ORAS is the lack of character customization which was something I really liked in X and Y, There wasn't too many options though. X and Y does offer a region unlike any other in the series. It has slightly more story than Omega Ruby and Alpha Sapphire if you're into that. Like most people said, go for Pokemon Omega Ruby or Alpha Sapphire. You have access to a bunch of legendaries, the dexnav, access to every Mega Pokemon too and some other features that were already mentioned before. It's a great game and even still today I play it from time to time to train some Pokemon. Also, it's the first game since Platinum I completed my Pokedex. It might seem like a lot, but it's easily done with patience. Pokemon Red Version, Pokemon Blue Version and Pokemon Yellow: Special Pikachu Edition all have a price of $9.99. A New Mythical Pokémon Has Been Discovered! 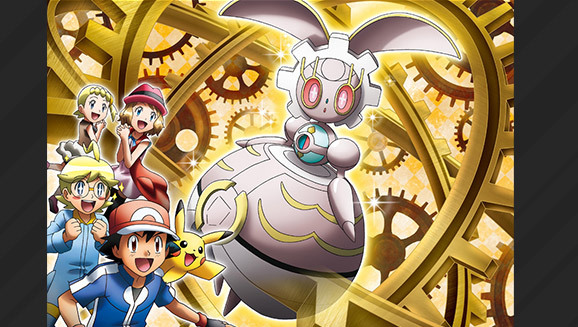 The Mythical Pokémon Magearna is set to appear in the next Pokémon movie! In this latest cinematic adventure, Ash meets the Mythical Pokémon Volcanion when it crashes down from the sky, creating a cloud of dust --and a mysterious force binds the two of them together! Volcanion despises humans and tries to get away, but it's forced to drag Ash along as it continues its rescue mission. They arrive in a city of cogs and gears, where a corrupt minister has stolen the ultimate invention: the Artificial Pokémon Magearna, created 500 years ago. He plans to use its mysterious power to take control of this mechanical kingdom! Can Ash and Volcanion work together to rescue Magearna? One of the greatest battles in Pokémon history is about to unfold! Sounds cool! I might just have to watch this movie. That is an.... interesting name................. I actually prefer the japanese one now lol.